Like many committed at-home cooks, I’ve lived through a full-on love affair with Nigella Lawson. It was so long ago, but I remember methodically going through her cookbook and making a new recipe each weekend, as if it was yesterday. When I think back to that time, one of the recipes that immediately comes to mind is Nigella’s German-American Kuchen (translated as “cake” from German), a breakfast cake with apples, cinnamon, orange zest, and blackberries. Baking it would fill the house with the intoxicating aroma of baked vanilla, spices, and citrus. In this heat though, we’d much rather eat ice-cream, almost over anything else. So, without any further hesitation, we decided to recreate that kuchen in the form of a nutritious frozen dessert that could possibly be eaten for breakfast, if we so wished. We really enjoyed the result, it covered all the flavour bases of the original, yet became its very own dish. Imagine a smooth, creamy ice cream, with the unexpected hint of traditional spices and fresh berries. I had lots of fun making this a swirled ice-cream, my first attempt ever. I got giddy with excitement when my scoop produced these whirled, galaxy-like portions. The spiced apples, used to top the ice cream, also came out sensational. Good enough to be eaten on their own. My husband proclaimed this frozen kuchen “the best ever,” Paloma licked the bowl clean. In a high speed blender, combine the berries with your sweetener of choice. Run the mixture through a fine-mesh sieve to discard the seeds. In a high-speed blender, combine all the ingredients until smooth. Chill well, and process in your ice-cream maker according to the manufacturer’s instructions. 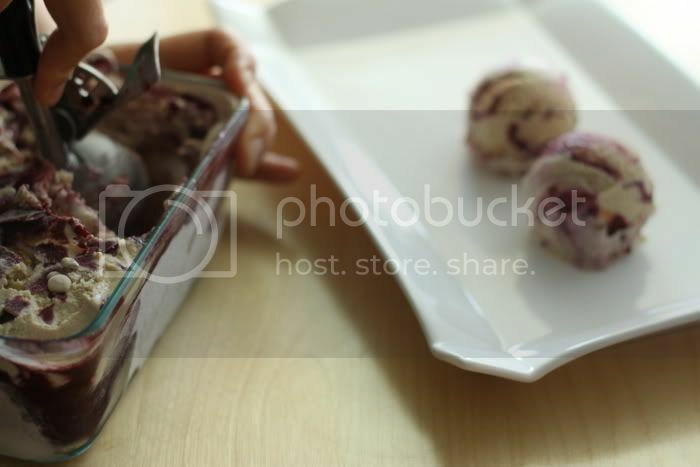 Pour a small amount of ice-cream into a chilled container, then spoon some blackberry sauce on top. 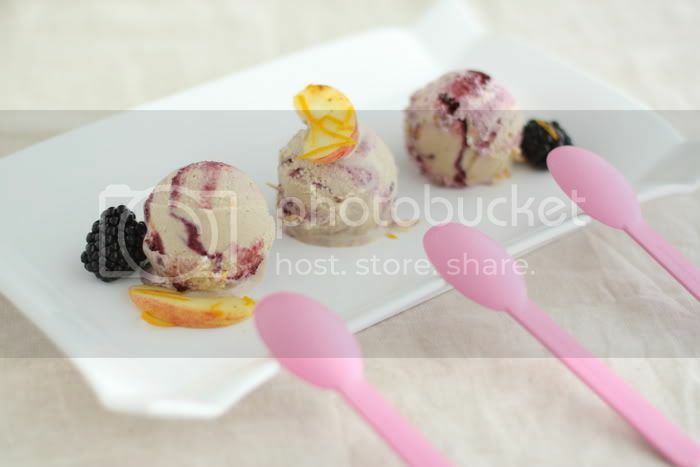 Continue with the ice-cream, alternating with layers of blackberry sauce to get a swirled effect when you scoop. Cover the container and freeze for a couple of hours before serving. Whisk the vanilla infused honey and orange juice in a small mixing bowl. I didn’t measure the amount of honey precisely, just eyeball it according to the amount of apples you’re using. Mix the apples with orange zest and spices. Pour the honey mixture over, stirring and making sure that all of the apples are coated. Let sit for a couple of hours or while making the ice cream. 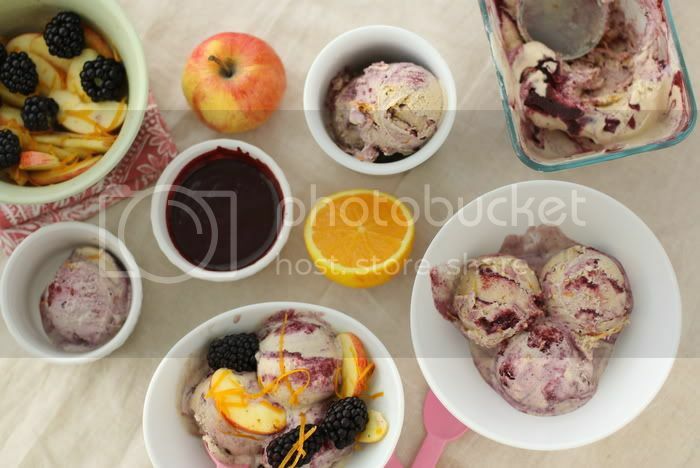 Serve the ice-cream with spiced apples, fresh blackberries, and extra blackberry sauce if you prefer. The styling of your pictures is so perfect. I am happy I found your blog! This sounds SO DELICIOUS! Sounds like it lends itself to ice cream very well too. Beautiful! I’m familiar with Nigella’s Kuchen recipe and I love your creativity in making it into a summer dessert! The swirls are brilliant as well! wow, that looks amazing!!! Beautiful pictures too! I have been craving ice cream lately and this sounds perfect! I totally appreciate your enthusiastic squeal when the scoops turned out with the perfect berry swirl. What a wonderful summer treat. We’ve had more trouble finding coconut around here lately but I’m heading to Asia in the fall so I will bookmark this beauty to make for my hosts. I know they’ll be impressed. Thank you! Does this get really hard if it sits in the freezer for very long? This looks wonderful…I love the domestic goddess too, although her recipes can be a little…too rich, this one is right up my alley though!! Oh my, this looks fabulous. I’ve been experimenting a lot with dairy-free ice creams since investing in an ice cream machine, this one looks like an absolute winner. Do you soak your cashews in the fridge? I’ve heard of some mold issues with these nuts in particular when soaking. I can imagine how exciting it was to scoop out this beautiful ice cream for the first time! Delicious. This does look delicious. Can’t wait to make it this weekend. Nice blog. amazing, as usual! thank you so much! everything’s perfect! what a dream! Thanks so much for your input and kind words, everyone! Lisa, we’ve had the same sad coconut story happening. A few months ago, they disappeared completely, but recently started popping up again here and there. Where in Asia are you going? Sounds so exciting. Mary, you know how, with regular store bought ice cream, when you open it first it is perfectly scoopable? But it’s never the same after that and gets really hard. It’s the same story with this ice cream, if you’ve had it in the freezer for a long time, it’s best to let it sit out a bit before serving. Kelsey, thank you! It’s strange, I’ve never heard or ran into that difficulty before. I always soak cashews in room temperature and they never go moldy. If everyone tasted this, you’d put all the ice cream and frozen yogurt shops out of business. 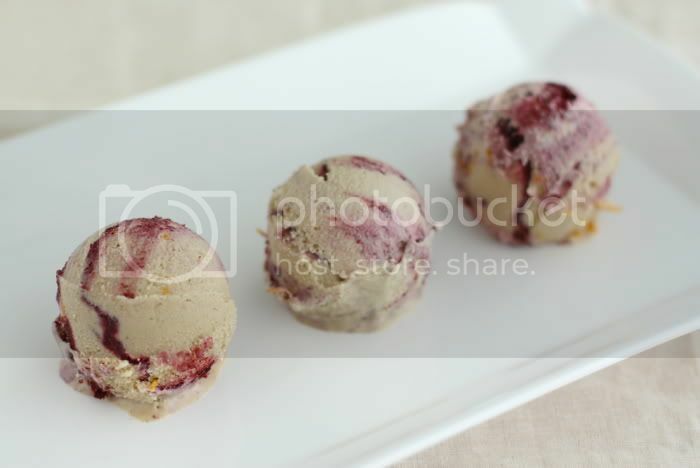 What a great recipe and beautiful photography! You have a very lucky family, not to mention well fed. 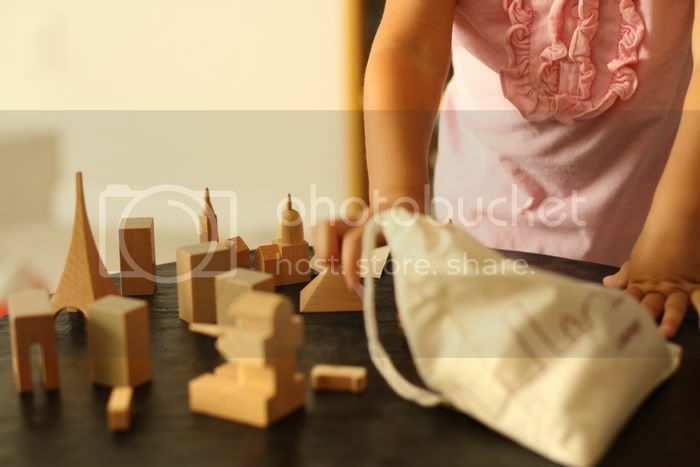 Gosh, your photos are seriously stunning! To bad it´s not possible to find young coconuts where I live.. Otherwise I would try the ice cream! Looks and sounds divine! Must try! Love all the spices in this recipe.